This free film showing will be approximately an hour long. 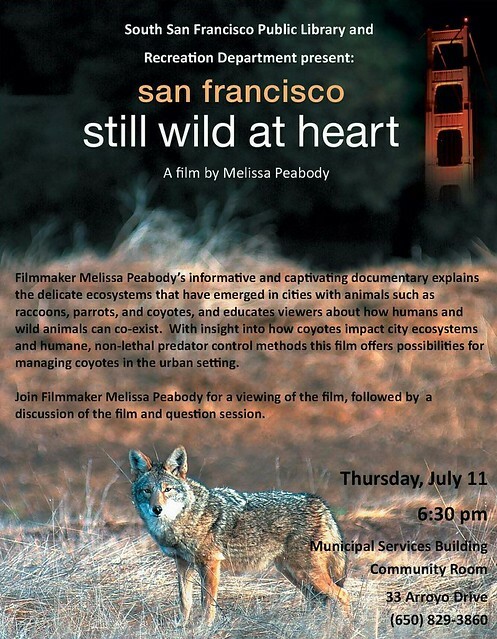 Following the showing of Melissa Peabody’s new film, San Francisco: Still Wild at Heart, Peabody will talk about how making this film came about and what impact her film has made. There will also be a question and answer session with the documentarian. Peabody is the executive producer and owner of Living World Films. Her credits include Dolphins in Danger for Turner Broadcasting and an Animal Planet 13-part series, Wyland’s Ocean World.